Watch our How to Videos and feel free to contact our Professional Texas Licensed Realtors "Our Agents" for the guidance and advice you deserve and require. Remember, when you see the For Sale sign on the property BE AWARE that the Realtor® works for the best interest of the Seller and not you the BUYER. 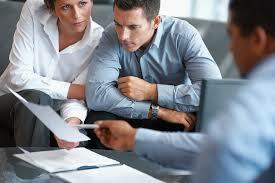 You need a Buyers Agent to represent you step by step through the entire home buying process. Our EXIT Realtors are well educated in all the financing programs, down payment assistance, finding the right home at the right price, assist you in getting your home inspected and that you get seek to obtain title insurance. Best of all, our EXIT Realtors will never ask you for any money for the work they do for you. They don't charge you when showing properties, negotiating, preparing purchase offers and walking you all the way to the closing of your new home. When we work for you and use our powerful MLS (Multiple Listing Service) the sellers agent pays our company to show you and hopefully reach a deal between you and the seller. EXIT Realtors know how to negotiate the best deal for you. But remember, if you go directly to the listing agent representing the seller, they will not provide you the advice and the negotiations becasue their duty is to work only for the seller. HIRE free of charge an EXIT Agent to represent you on your next purchase. As your representative we are the only ones that can give you advice because it is our duty under the law. No other party such as lenders or title companies represent you. Look at our videos, read any of the related articles below and CALL any of our AGENTS. Simply press the link Our Agents to be directed to the many experienced professionals which can serve you and your family. Enjoy the detailed step by step How To Videos and feel free to ask us questions. We are here to serve you.